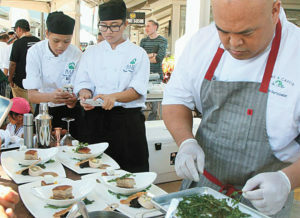 Record Filipino community participation at the annual Maui Fil-Am Heritage Festival hails a non-scientific testament, by inspection, of the growing Filipino population here on Maui. Filipinos are the fastest growing ethnic minority in Hawai‘i, due to continuous immigration from the Philippines and high birth rates in the Filipino community. The 2010 census showed that Filipinos surpassed Japanese as Hawai‘i’s largest ethnic group. In 2000 they were the third largest ethnic group and represented 22.8% of the population, but more recent data indicates they have become the largest Asian ethnicity in Hawai‘i. The 2010 census showed about 25.1% residents were all or part Filipino, a number estimated at 342,095. About 70% of Hawai‘i’s Filipino population live on O‘ahu. Hawai‘i’s total population was about 1.42 million according to 2014 estimates. In Maui County the numbers are also substantial. The 2015 County Data Book gives the county’s total population in 2014 as a little over 163,000; of that number almost 28,000 self-identify Filipino or about 17%. The number is potentially higher because it does not take into account those who are of mixed racial ancestry. Läna‘i, with a current population of a little over 3,000, has a concentration of Filipinos estimated between 45% to 60%. Although none of the standard references break out the ethnicity of the various Maui neighborhoods or towns, the 2015 County Data Book does show the percentage of enrollment for various local schools for the school year 2014-15. Elementary schools with high Filipino ancestry enrollment include: Kahului Elementary (50%), Nahi‘ena-‘ena-Lahaina (47%); Lihikai-Kahului (43%); Pömaika‘i-Kahului (35%); Kïhei Elementary (29%) and Waihe‘e (25%). Middle schools are: Maui Waena-Kahului (55%); Lahaina (36%); Lokelani-Kïhei (26%) and ‘Ïao-Wailuku (24%). High Schools: Maui High (52%); Lahainaluna (36%) and Baldwin (24%). Multi-level schools: Läna‘i (51%). Three Mauians of Filipino ancestry are elected public officials. Don Guzman (left) retained his seat on the County Council, Alika Atay’s mother, Fely Bantilan, has roots in the Philippines. gained a Council seat, and Gil Keith-Agaran was re-elected to the State Senate where he chairs the Judiciary and Labor Committee. Given their strong representation in the population, there are surprisingly few Filipinos presently elected by Mauians. In the 2016 elections only three candidates of Filipino ancestry were in the winner’s column. Alika Atay, Don Guzman, and Gilbert Keith-Agaran—the latter, both lawyers, were re-elected. Guzman represents Kahului on the Maui County Council. In the General election he was the second highest vote getter in the county wide race with a total of 30,764 votes. Council members elected in 2016 will serve a two year term beginning in January 2017. Gil Keith-Agaran (D), another notable Filipino, was re-elected to a four year term representing State Senate District 5 which includes Kahului and Wailuku and other parts of Central Maui. In the upcoming legislative session beginning in January 2017 he will serve as chair of the important Judiciary and Labor (JDL) committee. Conscious of a growing numerical base in the population, some predict that in 2018 there will be more candidates of Filipino ancestry to represent the views of this segment of the community. Among those mentioned as possible future candidates are Kari Luna-Nunokawa, Neldon Mamuad, Kit Zulueta, Leah Belmonte and Sharon Zalsos. Luna-Nunokawa serves as a Maui based constituent representative for U.S. Sen. Brian Schatz. She is the daughter of the late Martin Luna, a prominent Filipino-American attorney. She currently works at UH Maui College. Mamuad is a former radio personality and a former co-chair of the Guzman campaign. He presently heads MAUIWatch, a local digital news and information service. Although he does not rule out seeking political office, he is currently more interested in the media side of public affairs. Zulueta, outgoing president of the Maui Filipino Chamber of Commerce, works as Communications Director for the Maui County Council. She is not presently considering elected office. Leah Belmonte is the Maui liaison for Hawai‘i Governor David Ige. She is the daughter of Leon Bolosan, who headed Ige’s Maui campaign in 2014. She is married to Jake Belmonte, former vice president of the Maui Filipino Chamber of Commerce. Zalsos is the incoming president of the Maui Filipino Chamber of Commerce. She is employed by the County of Maui in the Office of Economic Development. From time to time she has mentioned an interest in seeking elected office. A number of other Maui Filipinos hold appointed or staff positions in county government. These include: Danny Agsalog – Director, Department of Finance; Herman Andaya Jr. – Chief of Staff for the Office of the Mayor; Rowena Dagdag-Andaya – Deputy Director Dept. of Public Works; Rod Antone and Ryan Piros respectively the county’s Communications Director and Deputy Communications Director; and Robert Rivera – First Deputy for the Office of the Prosecuting Attorney. More women than ever before ran for public office in 2016. This year the Maui County Council will have four women members: Elle Cochran, Stacy Crivello, Yuki Lei Sugimura and Kelly King. The elections of 2016 saw more women candidates than ever before. Tulsi Gabbard, who was re-elected to the U.S. House of Representatives for the 2nd Congressional district, led the Democratic ticket on Maui County where she received 41,046 votes. State Rep. Lynn DeCoite of Molokai was re-elected to a two year term representing State House District 13 including East Maui, Molokai and Läna‘i. Women also played a large role in county level elections. Two of the three of new faces on county council are women. They are: Yuki Lei Sugimura representing Upcountry and Kelly King filling the South Maui Seat. In addition, Elle Cochran was re-elected to the West Maui seat, and Stacy Crivello was re-elected to the Molokai seat, so beginning in 2017 four of the nine council members will be women—the largest number ever to serve on that body. Other women candidates who also ran in 2016 elections included: Napua Greig-Nakasone, Tiare Williams, Shay Chan-Hodges, Deidre Tegarden, Trinette Furtado, Stacey Moniz, Keani Rawlins-Fernandez, and Vanessa Medeiros. One new development in the 2016 elections was the emergence of the “Ohana Coalition,” which fielded a full slate for every open seat. The group publicized their preferences widely. The slate was an outgrowth of the 2014 election when anti-GMO legislation was on the ballot. The initiative, placing the moratorium on genetically modified crops, won an upset victory at the polls that year, but was later overturned by the courts. The same forces supporting the anti-GMO legislation came back in 2016 election determined to make their voices heard by backing candidates rather than advocating issues. Among the Ohana endorsed candidates were incumbents Cochran and Guzman. Both were re-elected, running #1 and #2 in total votes received for the nine county council seats. She got 31,970; his total was 30,764. Ohana candidates Alika Atay won a tight race for the Wailuku council seat, and endorsed candidate Kelly King upset incumbent Don Couch to take the South Maui council seat. The newly formed “Ohana Coalition” made waves this year by running a slate of candidates for every open seat. Endorsed Ohana candidates who won were: Don Guzman, Elle Cochran, Alika Atay and Kelly King. All four were elected to the council. County Managing Director Keith Regan, a close ally of Mayor Alan Arakawa, was a first time candidate for the open Wailuku county council seat. He was bumped out of contention in the primary by Ohana Coalition candidate Alika Atay, who pushed ahead to beat Regan with a slim margin of 337 votes. Also in the primary, first time Ohana endorsed candidate Tiare Williams (D) lost to incumbent Kyle Yamashita in the race for State House District 12 (Upcountry). Yamashita held on with a narrow lead of 322 votes. At least one race expected to be close was not close at all: Incumbent Kaniela Ing won easily over Deidre Tegarden. Ing received a convincing 2,117 votes vs 1,219 for Tegarden. Ing won the State House primary for District 11 representing South Maui. 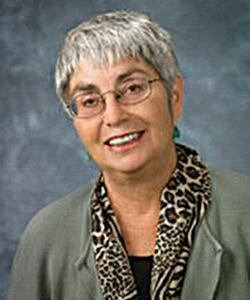 Susan Halas is a long time Maui reporter covering Hawai‘i politics. Her parents and grandparents were well known residents of pre-war Manila. Her father, the late Morton “Jock” Netzorg, was born in Naga City, Bicol in 1912. Not content to narrowly make it onto to the general election ballot, Alika Atay squeaked out a narrow final victory over former council member Dane Kane by only 809 votes. The November tally was Atay 23,322 and Kane 22,513. Kane had come in first in the primary, but in the general Atay, endorsed by the Ohana Coalition, came from behind to beat Kane on the final print out. Likewise Ohana endorsed candidate Kelly King upset incumbent Don Couch in a very close race for the South Maui council seat. King’s votes totaled 23,641; Couch received 22,592, giving her a winning margin of 1,049. The winners in 2016 have not even begun their terms, but speculation has already begun about who will be running 2018. Getting the jump on others, Elle Cochran announced in December she will be running for Mayor. Others reportedly eyeing the county’s top job include Don Guzman, Shan Tsutsui, Mike Victorino, and Keith Regan. The next election cycle will also feature a race for Hawai‘i governor, pitting incumbent David Ige against as yet unannounced opponents. A contest for the US Senate seat presently held by Mazie Hirono will also be part of the next cycle. This is a big file. The County of Maui precinct results covering Districts 8, 9,10, 11, 12, 13 which include the islands of Maui, Molokai and Lanai be found on pages 130 through 234.